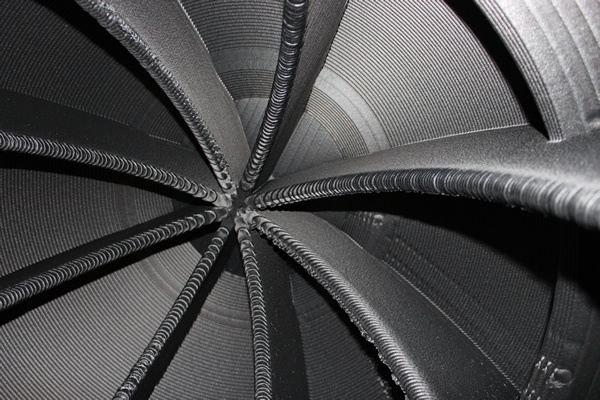 Much of the technology used in Thermwood's LSAM machines and print process is completely new. 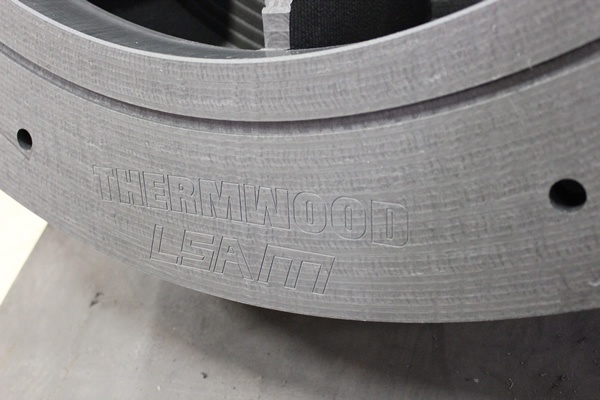 Thermwood has already received numerous patents on this revolutionary development and many more are in the works. Many exciting results that LSAM has already achieved are covered by non-disclosure agreements and must be kept secret. 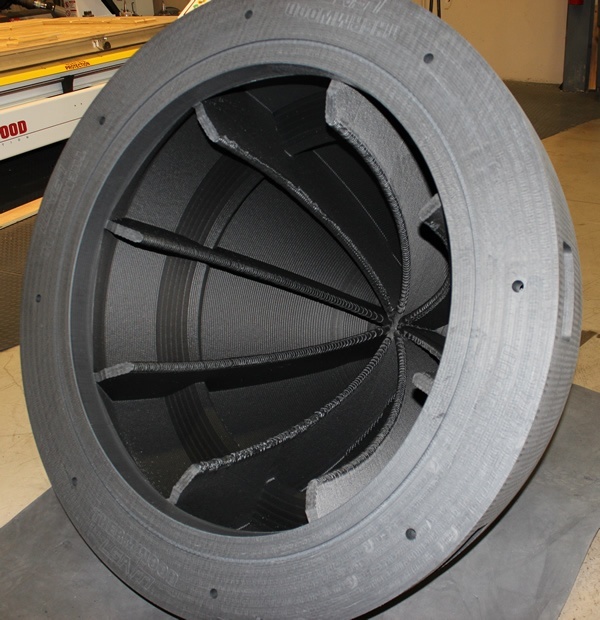 LSAM is truly state-of-the-art in the exciting new world of large scale additive manufacturing. Thermwood Corporation of Dale, Indiana has signed a formal Cooperative Research and Development Agreement with Fleet Readiness Center East located at Marine Corps Air Station Cherry Point, N.C., and part of the Naval Air Systems Command, to conduct a two-year, joint technology development effort centered on Thermwood’s emerging Large Scale Additive Manufacturing (LSAM) technology. 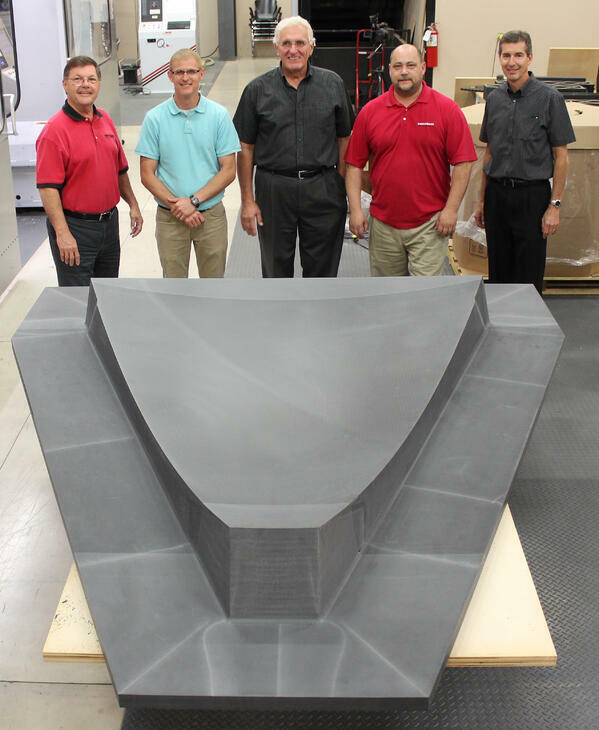 Thermwood’s LSAM machines are large-sized industrial additive manufacturing or three-dimensional printing machines that are available in sizes up to 100 feet long. 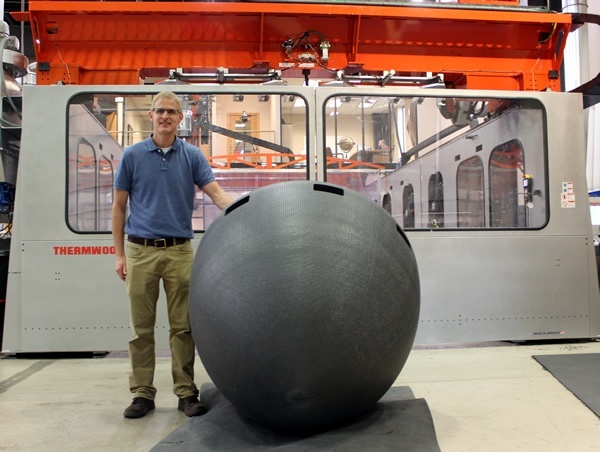 These systems use a “near-net-shape” approach for making parts in which parts are first 3D printed at high speed to a size slightly larger than needed and then trimmed to final net size and shape. 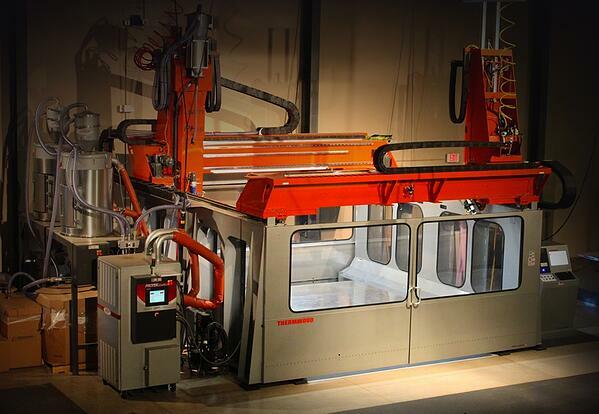 Thermwood’s LSAM machine consolidates printing and machining on the same machine using dual gantries. Dual controls allow print and trim operations to be performed simultaneously, each on different ends of the table. 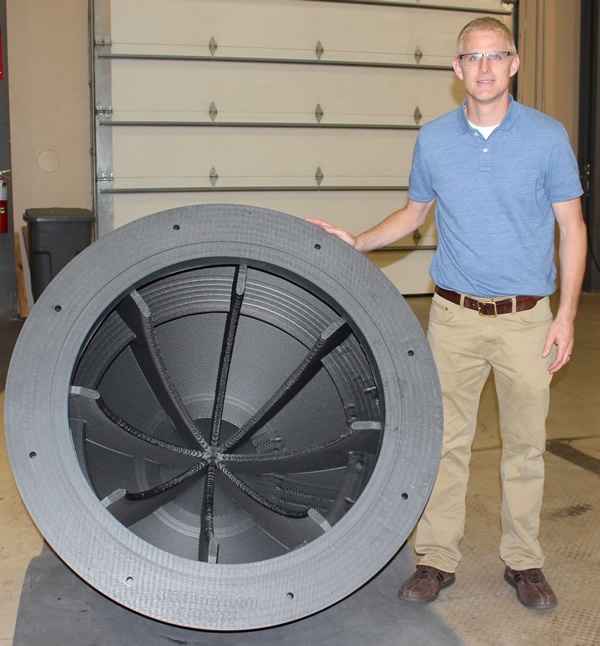 Thermwood has been in a continuous research and development program developing additive manufacturing equipment and technology, and in September announced a line of large scale additive manufacturing systems called LSAM. 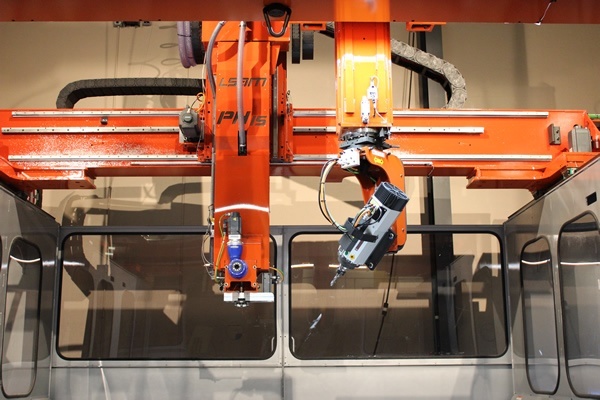 The dual-gantry, high-wall machines are available in sizes from 10-foot-by-10-foot to 10-foot to more than 100-foot with print capability from 150 to 500 pounds per hour. For more than 60 years, the Fleet Readiness Center (FRC) East aboard MCAS Cherry Point, N.C., has played an important part in national defense. Our workforce has earned a reputation of excellence in providing world-class maintenance, engineering and logistics support for Navy and Marine Corps aviation, as well as other armed services, federal agencies and foreign governments. Our skilled workforce uses state-of-the-art technology to ensure that FRC East is without equal in providing quality, cost-effective support.